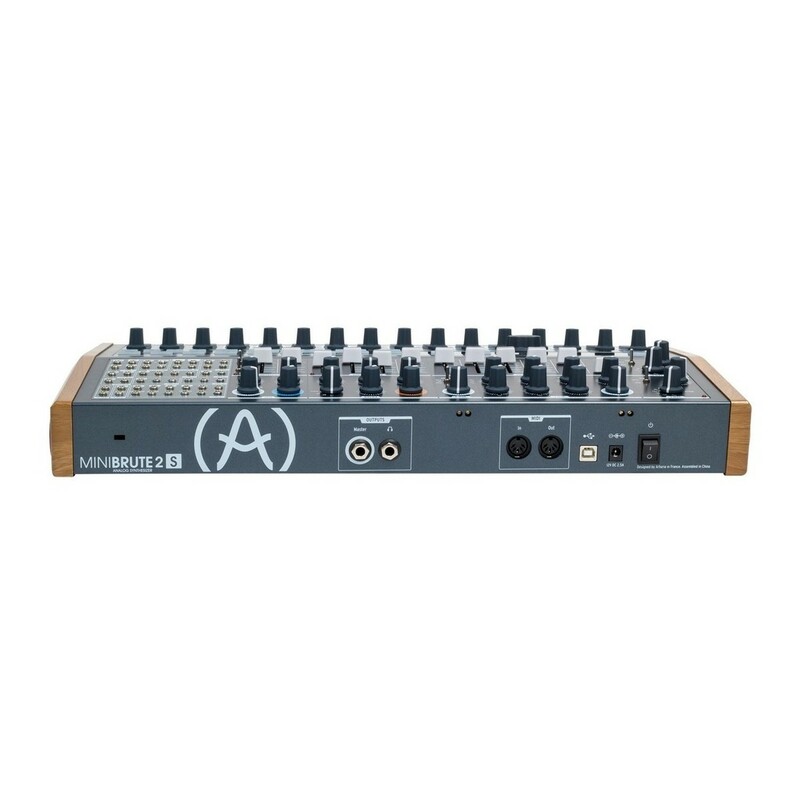 The Arturia MiniBrute 2S with 6U RackBrute is a special bundle featuring the Arturia MiniBrute 2S and a 6U Eurorack modular case. Combine your modules in the case with the patch bay of the MiniBrute 2S to create a powerful and versatile live performance tool. 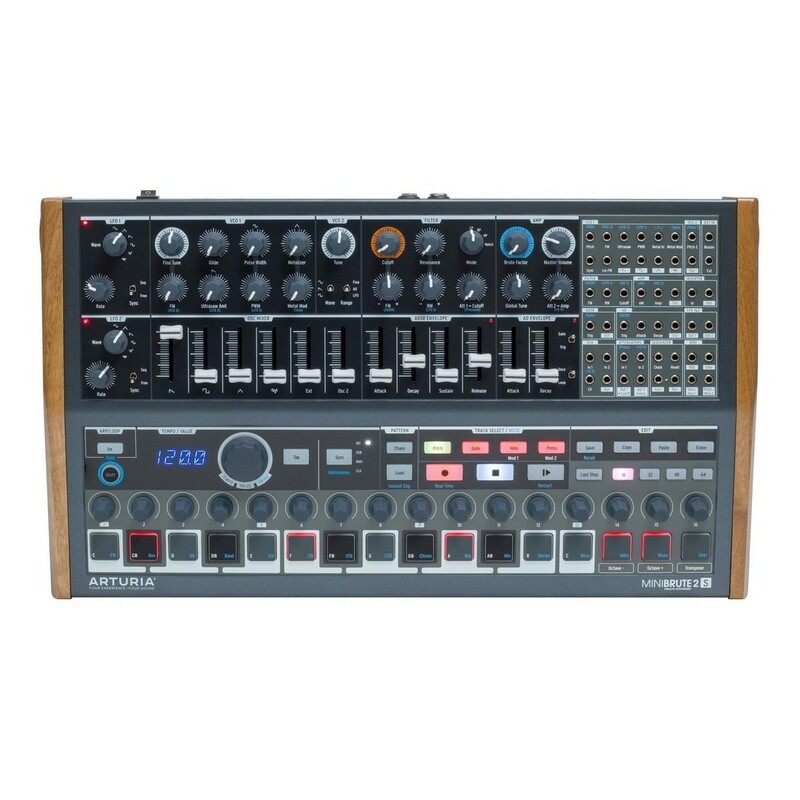 The MiniBrute 2S is a hybrid analog sequencer/synth that offers a huge analog tone, brute power, and a triple-layered step-sequencer. 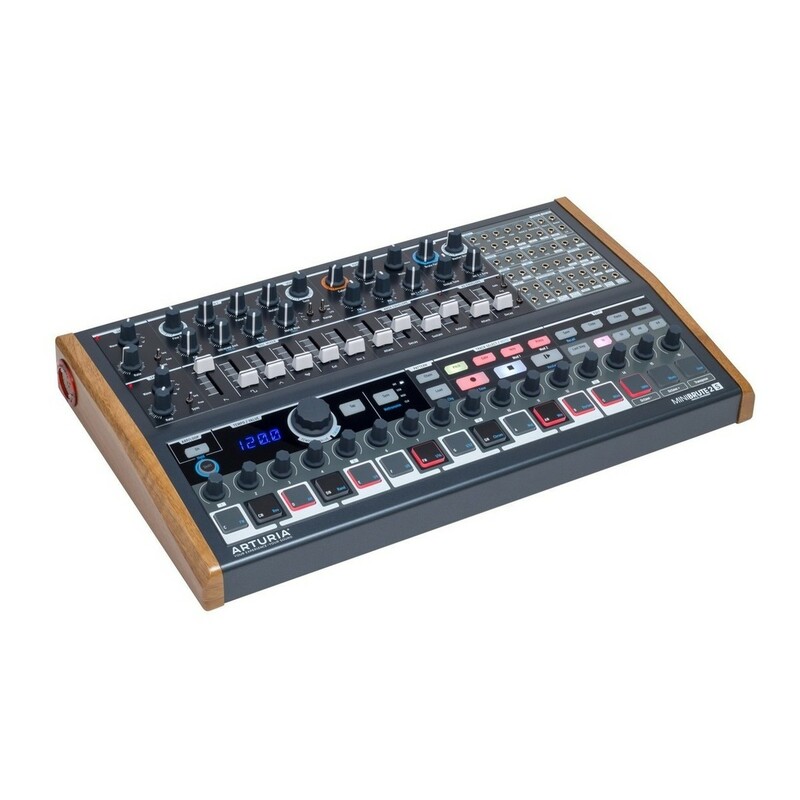 The MiniBrute 2S offers 2 mixable, multi-waveform oscillators, filters, envelopes, and more for shaping sound. The integrated step-sequencer makes rhythm and pattern creation a breeze, whilst the new modulation matrix unlocks a new world of performance possibilities. Give your music the punch and power it needs with the Arturia MiniBrute 2S. The Arturia RackBrute 6U is a compact and highly portable, link-enabled Eurorack modular case. 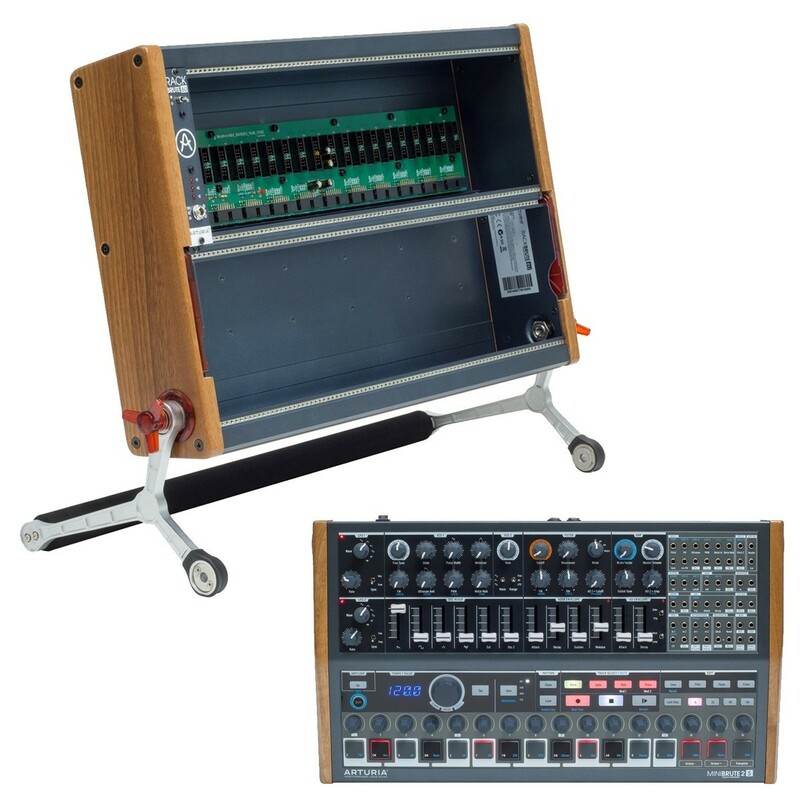 This premium-grade rack case is ideal for the modular user on the move, allowing you to easily swap and switch between modules while on the move. 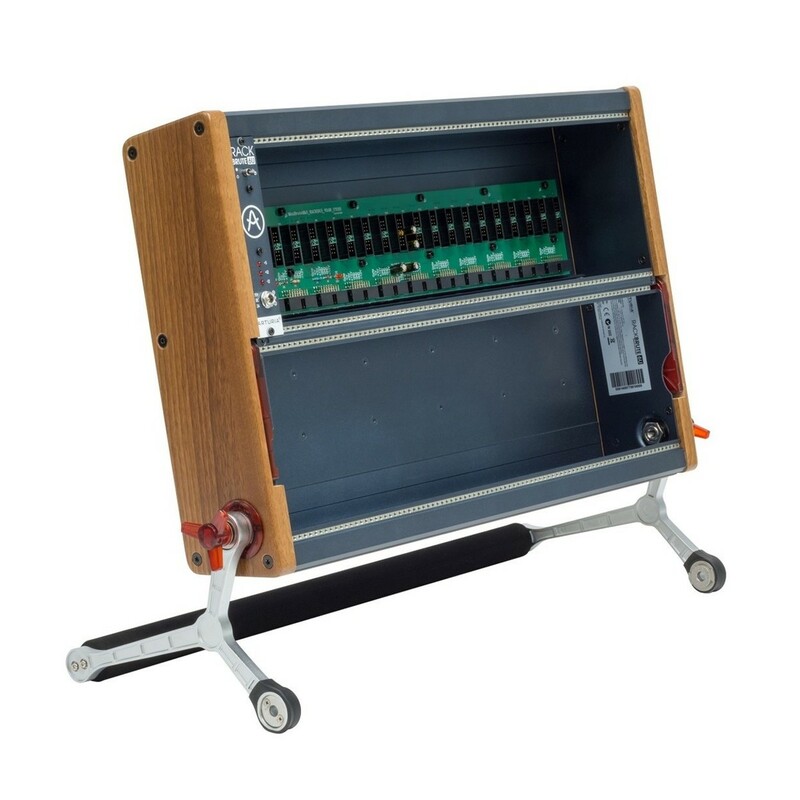 The RackBrute is designed to accommodate, protect and power your Eurorack modules in a robust and sleek enclosure. 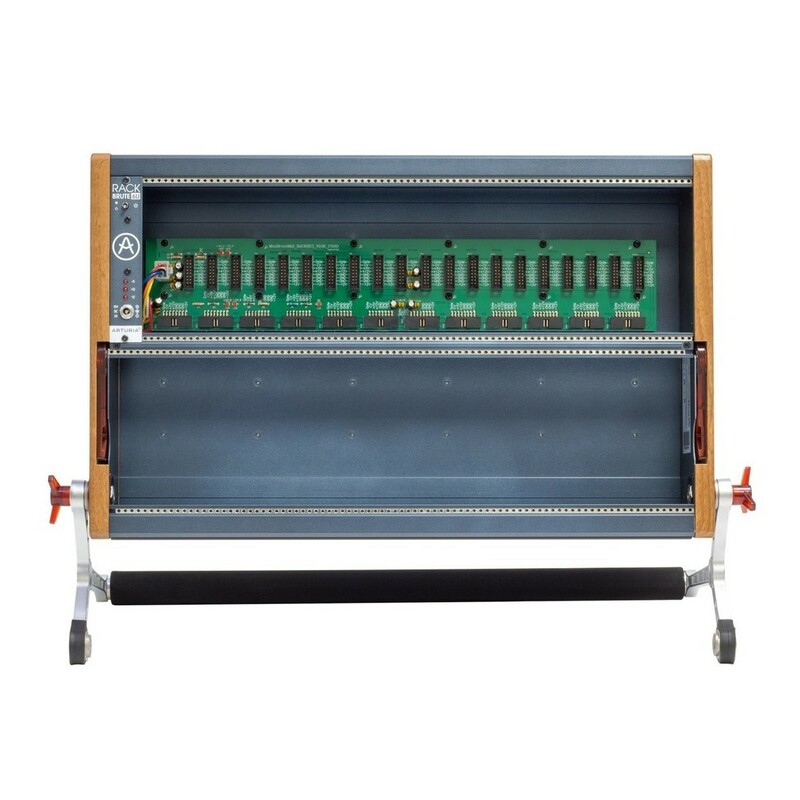 It features space to connect up to 32 modules or 171HP of module space when the power supply module is connected. 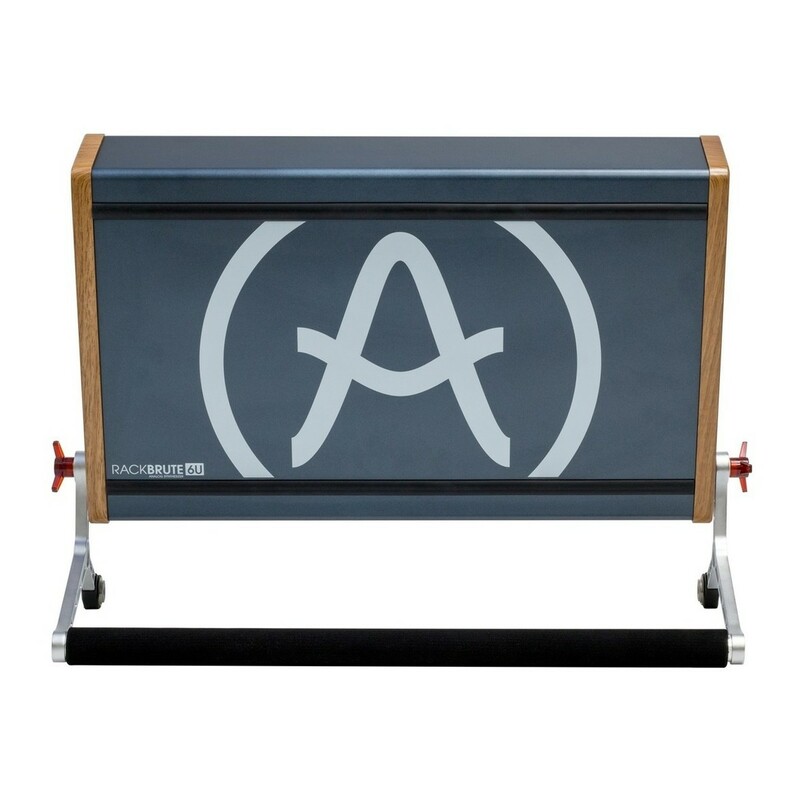 The versatile layout of the Arturia RackBrute Eurorack case is designed for any configuration, with its adjustable positioning making it a breeze to setup and perform at any time.